Act fast and take advantage of this 50% discount on your first box from Bright Cellars. Take the free quiz online at Bright Cellars to get your personalized wine box. 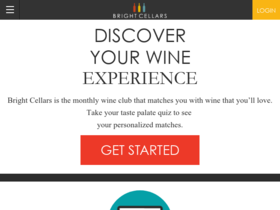 Enjoy a personalized monthly wine club when you sign up online at Bright Cellars. Check out Bright Cellars online for their latest special offers.